Google’s search results are ranked by a combination of hundreds of different factors that are arranged into an algorithm which is being constantly changed and monitored. 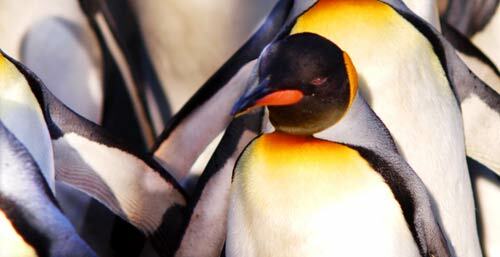 Recently, there has been a major update to the algorithm that has sent the SEO world into a spin and that update is named Penguin. Of course, I have always advocated blogging for business by attracting customers through Google searches naturally rather than employing black hat tactics such as purchasing links. However, I do think the game has changed a little and there are reasons why innocent web designers could get caught up in the crossfire between Google and webspam. High up in the ranking factors for websites is the amount and quality of the links pointing to the sites. And, following on from this, the anchor text (the text in the link) is also of extreme importance. Another of the ranking factors that is important is the keywords that existed in the actual domain name and URLs of the links. So, if you are searching for “blue widgets”, the site www.bluewidgets.com will have an advantage. So, it was for these reasons that I advised web designers to consider purchasing a domain with “web design” in the title. I’ve also said that you should try to get links pointing to your site with “web designer [blank]” (where [blank] is the name of the town or area you live in). I no longer believe this is good advice. Or, at least, I don’t think you should try to manipulate anchor text – however much it might help users! I now think this is not a good idea. I now think it’s better to build the link with company name. Google have devalued these footer links anyway. Where it is possible, vary the anchor text in the links that point to your site as much as possible. Don’t buy links! I know this should be obvious but I thought I’d put it in here anyway! Don’t have lots of links back to your site with the same anchor text! This is what Google has really penalized. If you’re interested in this there is a great article here by Glenn Gabe on the effect of this Penguin update and what to expect in the future. Create content and articles that are useful to the end user rather than written for a search engine. That goes for the content on your sites as well as the content you create on other sites, social networks, web 2.0 sites, everywhere. We are doing what we’re doing because we love doing it! 🙂 The most important thing is to create great websites. Always spend more time on creation rather than promotion. And be happy! Take a look in your Google Analytics or web stats package. Can you see a reduction in organic traffic on April 24th? If you can it means you’ve fallen victim to a Penguin attack. Use Open Site Explorer to check the incoming links and their anchor text. See if you can change or kill any inbound links that look spammy. Firstly loving the new site Rob! I feel I fall in to this to a T, I have noticed a drop in traffic 🙁 When I think of all them hours building links and seeing that I was on the right track as I was doing very well in the Google rankings. The thought of going back through the links I have acquired and making contact with each company and requesting the change or removal of my links seems harder work then getting them in the first place!!! God knows about the SEO companies who rely on these tactics to get their clients to higher positions in the rankings? Like the anchor text, Del! 🙂 I’m really sorry about this because you are just the sort of white hat web designer Google needs to keep on their side rather than antagonize. It’s not as though you have dodgy links. You’ve won design competitions on reputable sites – what’s wrong with that?! Lots of people have been caught by this. I’ll be looking into it more in the next few weeks and will get back to you if I find anything out. For the moment hang tight. Neat and tidy way of informing the Penguin update and its effects on all of us. Thank you, Peter, it’s not often I’m referred to as neat or tidy! I started blogging two years ago without much regards to the SEO tips of that time, which very often I found to be ugly tactics, and as time passed I noticed a steady increase in search traffic on my blogs. After reading your tips, I like to think that spending more time focused on content and branding, rather than SEO had benefited my sites. I hope Google continue to update their algorithm, so to help content rich and brand sites to keep ranking up. Excellent and very timely post, Rob. I have no tolerance for people who fill the Name field of a comments form with spammy keywords. But I don’t usually mind if they put their name followed by their company or website/blog name. Still, it does make me wonder if that sort of thing (or what else) might be targetted in future. Your example of the footer anchor text ‘web design by James Smith’ seems fairy innocuous to me (even if it does become repetitive with each new website you create and add it to). Thanks, Tracey, tell me about it! It says “No keywords please!” here but I still get tons – I always delete them. I’m not sure if the footer text makes much difference but it’s one to keep an eye on. Thanks Rob. I do like your straightforward articles. That link too was very interesting. I’m also loving the new design touches on this site. I’ve seen a new wave of comment spammers who are linking to personal Facebook profiles (not pages). I can’t understand where the benefit is for them? Have you seen this? Thanks for your continued support, David, I really appreciate it! I do get comment spam, both “manual” and “automatic”. But I’ve never had the spammers linking to personal Facebook pages – very odd. Thanks Rob. Good clear-headed content makes me come back! I should have said I’ve been looking at what WP’s Akismet is catching. The same comments back again but now with Facebook profiles. Too much time on my hands! Oh right. Whenever I “browse” through what Akismet catches I never see Facebook profiles. I was not aware of Open Site Explorer . It’s the best free tool that does this job, Vinodh. (Although there is a paid version for $100 a month!) Good to see you here again! Nice and short article Rob. Yes the game has definitely changed. Even Leslie Rhodes said “The new SEO is don’t do SEO”. It’s definitely more about creating good quality content and strategic syndication. I think all the most recent updates but especially Penguin meant gaming the system is extremely difficult. So, as you say, it’s all about quality content. Thanks for the comment, John. Wow, this is getting confusing – I’ve just read an article by Matt Morgan that suggests using varying anchor text & even ‘no following’ some footer links as too many links from one domain (‘web design by’ etc) is bad. This goes against my instinct of getting as many backlinks as possible – meaning 5 links in each of the 5 pages on a site I’ve designed is a good thing x5. You seem to be saying that the anchor text of ‘your company name’ is still ok? I was just about to change some of my backlinks on sites to things like: ‘pest control web design’ for example, now I’m not sure what to do! Hello, Sea. Yes it is really confusing. One thing for sure is that site why footer links are not powerful. A link on five footers of a website I’m not five times better than just one – they are probably just the same as one! You are probably better off getting a link from a normal single post or page on your client’s site. For anchor text, I would definitely put your company name or the name of that the domain in a footer link. You should have them as nofollow according to Google but I wouldn’t worry about this too much. Avoid duplicate anchor text where it is not the name of your company or domain at all costs. Too many links pointing to your sites with anchor text like pest control web design will look dodgy. I know it’s confusing because Google do not give you the complete story and there are a lot of so-called experts out there who contradict each other. The truth is no one knows. This is why I advised to err on the side of caution. I hope this helps. Thanks for reply Rob (it’s Sean not Sea – I missed the n off!) since posting here I’ve been looking around at what some of the top (by top I mean those designers capable of getting onto page one in large cities) are doing with their footer backlinks, it seems evenly split between “company name” & the likes of “web design London” for example. You also advise: “Don’t have lots of links back to your site with the same anchor text! This is what Google has really penalized.” If I use my company name, that isn’t varying it, so I’m still a bit confused! While Google may’ve devalued footer links, to be honest it’s all that the majority of web designers have, so most of us are in the same boat I guess. I’ve been writing news items for Applegate with links back to various pages of my site. It’s hard to tell how much this is having an impact – or even if Google will frown upon this sort of behaviour too (they probably do), but again, as web designers it’s one of the few weapons we have in our arsenal to scramble up the ladder. I’m at a loss as to what else there is to do to beat off the constant stream of young pretenders that appear from nowhere on page one pushing my site into the lower reaches of page one? Hi Sean, by company name I mean for you “Fizz Web Design” – that is your domain so, I believe, you would have no problem having many backlinks to your site with “Fizz Web Design” as the anchor text. You may want to have some “web design london” type links as well but make sure they are less than 20% of the links pointing back to you. However, I wouldn’t risk it too much as it’s a dangerous game. Sean, you do have so much more in your arsenal – not just footer links. You have your blog. The more quality content you post on there the better. Furthermore you can use it to get more links and more social signals pointing to your site. You can also develop relationships with people online within your niche which will contribute to yet more links and social signals. Build your brand out in other platforms like Google+ (don’t forget to set up Google Anthorship), FB, Twitter, LinkedIn and YouTube. The advantage of the above is that it brings in interest from other platforms not only Google. Also, it is fool proof as there is no way it can hurt you whereas other forms of link building can.